Bathtubs that fit seamlessly into any bathroom, any style, any life - from classic to contemporary, individual to shared, cozy to chic - Designed by Americh - Personalized by You. Submerge yourself in an environment to fit your personal needs. From the serenity of a soaking bath, the invigorating massage of a whirlpool, the rejuvenating sensation of our Air Bath and for the ultimate pampering, indulge in the restorative powers of the combination system. Each Americh bath is available in many styles so you can choose the whirlpool, air bath or combination bath of your dreams. Once your tub is ordered, it is created especially for you at Americh's plant in North Carolina or California. After passing their highest standard of excellence, it is shipped directly to you. No refurbished, reconditioned tubs are allowed. Fully warrantied by Americh. And your tub only makes one trip - from the manufacturer to you. Soaking for those who are looking for a quiet, calm soak. Add the Serenity feature for a soaking bath that will maintain water temperature for as long as you would like. Two air systems are offered for those that are looking for a soft bubbly massage. Air II for a perimeter air experience, Air III for air jets located on the bottom of the tub. For those looking for a deep tissue massage, Americh offers three levels of whirlpools: Builder, Luxury and Platinum. For the ultimate spa bath, choose a combination of whirlpool & air or add the Vibro Sonic Massage. Providing you with a comprehensive palette of designs, sizes, bathing systems, features and accessories to choose from. Your style, your space, your needs. We think it makes sense for you to tell us what your perfect bathtub looks like. 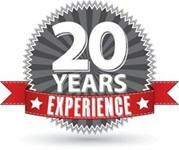 For more than 27 years Americh has remained true to the philosophy of providing clientele with cutting edge designs and a level of quality that is unmatched in the industry. They have been known for innovative ideas and a flair for stimulating the imaginations of designers and home enthusiasts alike. At its very heart, they are about facilitating the transformation of an ordinary household bathroom into a personal refuge of serenity and rejuvenation. 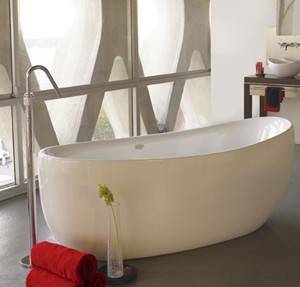 Americh bathtubs and custom designed tubs have been used in many housing, condominium, and hotel projects all around the world. Today, they manufacture over 130 bathtub designs and almost 40 different acrylic shower base models. By far one of the largest collections in our industry. They continue to stay on the forefront of the industry. Consistently offering the finest products on the cutting edge of innovation has led companies to choose Americh as their supplier.